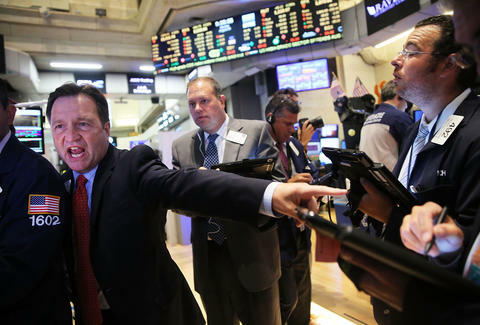 Stock market panic ensued Monday morning (aka #BlackMonday), as Wall Street saw a major 1,000-point plunge, following China's biggest stock collapse in eight years. Because, let's be honest, the stock market makes little to no sense and no one really has any idea what this kind of plummet really means, we asked Dr. Laura Gonzalez, Assistant Professor of Finance and Business Economics at Fordham University about where the economy stands now, what people should be doing with their money, and just how scared we should all be. At time of publishing, the Dow had fallen 650 points again. What does a 1,000-point drop this early in a day mean? "Not much unless it continues for several days." "Following each quick ramp-up. It was coming." Should anyone be buying or selling anything right now? "This is a good time to buy, not to sell." Who is this going to hit the hardest? "The ones that bought stocks in China at the peak. Their corrections are much greater than here." What does it mean that the markets are "in correction" right now? "There was a bubble in China that is getting corrected. Stock prices went up too much." What should scare us the most about the state of the Chinese economy? "Chinese authorities have room for maneuver, but must do it quickly, to avoid contagion to other economies. The Chinese economy is suffering from the transition (done in other countries) from manufacturing to more sophisticated production and services. They are also cracking down on political corruption." Should we be panicking? How bad is this going to get? Is it 2008 all over again? "Not the same situation. The banks are healthier. The Fed is likely to postpone rising interest rates, and the dollar will not be as strong, which will help exports. That and the fall of gas prices will encourage production and hiring." Lucy Meilus is a staff writer for Thrillist and terrible with money. Follow her on Twitter at @Lucymeilus and send news tips to news@thrillist.com.